Great Gifts for Techie Friends – Far End Gear Article - Far End Gear™ Products for outdoor enthusiasts - earbuds, earphones, and earbud sport grips. 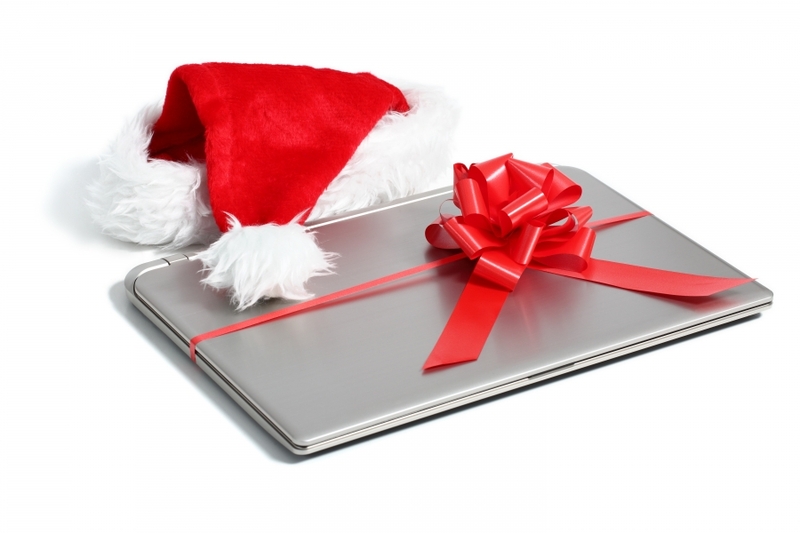 Do you have a techie on your gift list, but you’re unsure of what to give? Yeah, we know how you feel. Techies definitely aren’t the easiest people to shop for, and it seems like they already have the latest and greatest anyway. So to help, we’ve listed some of our favorite new gadgets that your techie friend is sure to love. AviiQ Portable Charging Station. This handy charging station comes with a 5200mAh lithium ion battery and a 4-port USB hub so your techie friend can go anywhere without having to worry about losing power. It’s compact and portable, featuring a convenient cable management system and a compact zipper bag for simple storage. Far End Gear Brite Buds Stereo-to-Mono Single Earphone. Techies and outdoor enthusiasts rejoice! The world’s first single earbud set with a reflective cord is finally here, providing unparalleled safety for outdoor enthusiasts who like to listen to music or podcasts while they excersize. By channeling both sides of a stereo mix into one earbud, Far End Gear’s Brite Buds Single Earphone allows outdoor athletes to fully enjoy their favorite music while keeping one ear open to their surroundings. To top it off, it features a reflective fabric-wrapped cord for extra visibility at night and even comes with multiple sets of comfortable rubber ear tips for a non-slip fit. Sensorcon Sensordrone. This multi-purpose sensor turns any smartphone into a CO detector, weather station, non-contact thermometer, and a slew of other tools. It’s 100 percent programmable and small enough to hook onto your keychain. Sensorcon even offers open-source software for creating your own Sensordone app. The possibilities are truly endless! West Elm Tech Knit Gloves. These cozy gloves come with smartphone-compatible fingertips that allow you to text without having to expose your bare hands to the cold. They come in a variety of stylish colors, great for the outdoor enthusiast who uses a smartphone while training. Garmin Vivosmart. Sticking to those New Year’s resolutions just got a whole lot easier thanks to the Garmin Vivosmart. This fitness tracker-smartwatch hybrid tracks steps, calories burned, and distance traveled, featuring swipe functionality for easy operation. Like most smartwatches, the Vivosmart syncs up with your smartphone and alerts you anytime you receive a text message, e-mail, or missed call. For a unique touch, the Vivosmart’s sleek, futuristic design comes in five different colors and two different band sizes for a near-perfect fit. CamelBak All Clear Bottle. Perfect for trail marathoners and campers alike, this handy water purifier uses UV light to give you crystal clear water from even the dirtiest creeks or ponds. Just fill it up, shake it for 60 seconds, and get hydrated. It comes with a USB chargeable battery, making it an awesome complement to any of the charging gadgets listed above. Olloclip. Know any techies who love to take pictures? Send an Olloclip their way. This 4-in-1 photo lens clips onto your smartphone and offers four unique camera angles so you can capture a unique take on a breathtaking shot. It’s compatible with Samsung and Apple smartphones and super easy to use. Smart Sensor Basketball Pack. For the techie who loves to shoot hoops, the Smart Sensor Basketball Pack features a regulation-size basketball that syncs up with your smartphone via Bluetooth. It’s equipped with technology that helps players analyze their shots and dribbling, and the app offers a series of drills that players can use to perfect their game.